It’s crazy-making: you go to your faucet to fill up a sippy cup of water for your toddler, and you don’t think twice about the contaminants that might be in it. And why should you? The Environmental Protection Agency has regulations in place to ensure that your water doesn’t exceed any dangerous limits. And sure, you’ve heard lead in drinking water making headlines since the Flint crisis began in 2014, but there’s no way that could affect you. Right? Unfortunately, this isn’t the case. Not always, anyway. According to the Centers for Disease Control and Prevention (CDC), at least four million households have children that are exposed to high levels of lead, and an estimated 63 million Americans have been exposed to lead in their tap water over the last decade alone. Why does this matter? When exposed long-term, lead is a neurotoxin, dangerous to health. There is no safe level of lead for kids or adults, and our most vulnerable population – our children – need our help. Here’s how to understand where it comes from, and how you can filter it out of your whole home. 63 million Americans is a surprising amount of lead exposure – this includes in lead-based paint, as well as your water supply. While the United States government has signed a few measures to help improve water quality across the nation, it’s still hard to know exactly where the primary lead culprit lies. What we do know is that oftentimes, it comes from below. Even if water starts out lead-free at the original source, it can be contaminated on the way to your tap. Even if water starts out lead-free at the original source, it can be contaminated on the way to your tap. For example, even though the use of lead-based plumbing was banned in 1986, there are still many homes with lead-based piping that has yet to be replaced. And even if your piping system is lead-free, there’s a possibility that your water can pick up lead through municipal pipelines on it’s way to your home. The only way to reduce the lead in your drinking water is to use a water filter. However, not all water filters are equal. If you are going to invest in a water filter, you’ll want to make sure it’s the best one available. In order to find the best filter for you, you need to know exactly what’s coming out of your tap. Lead isn’t the only contaminant that could be in your drinking water. Treated drinking water can also contain heavy metals such as mercury, and environmental pollutants like pharmaceuticals, herbicides, and pesticides. Plus, the disinfectants used to clean your drinking water are often harsh chemicals like chlorine or chloramines. You can find out what’s contaminating your water by searching online for a Water Quality Report for your area or contacting your local government. 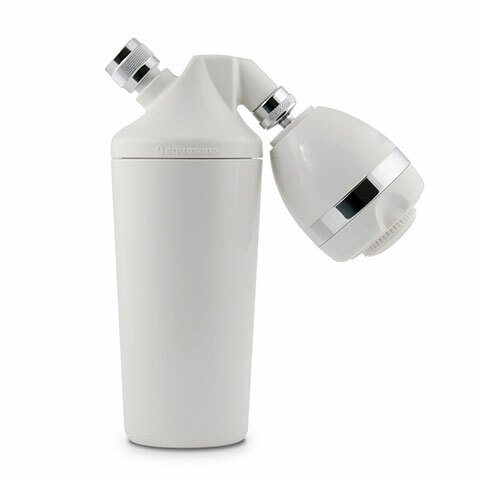 Then find a filter that removes the contaminants that can negatively affect your health or the taste of the water. 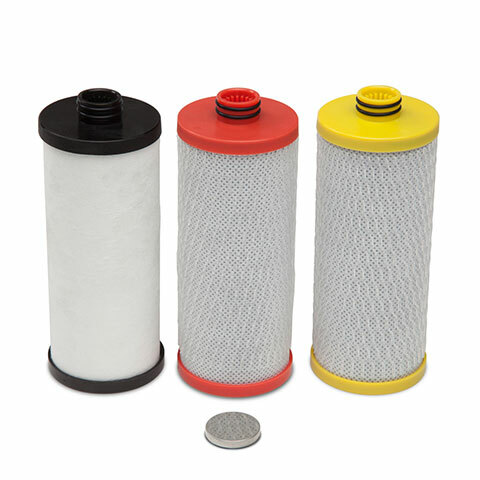 For starters, be sure your filter is certified by a third-party, such as the NSF or IAPMO. Groups such as these offer third-party, independent testing and certification, so you know that the filter you’re investing in has been tested and proven to real-world results. Two effective ways of reducing lead from water are reverse osmosis and ion-exchange. Reverse osmosis is the process by which a solvent pass through a porous membrane in the direction opposite to that for natural osmosis when subjected to pressure. Traditional reverse osmosis systems remove nearly everything larger than a water molecule from water including naturally occurring trace minerals. This process includes the removal of particles like lead, fluoride, arsenic, cadmium, mercury, and asbestos. 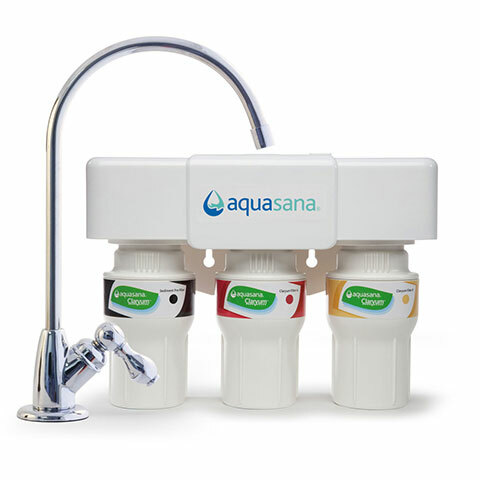 The NSF-certified Aquasana Reverse Osmosis System includes two additional steps to optimize the RO process. Aquasana Claryum technology is included to remove an additional 60 contaminants including chlorine and chloramines (chlorine + ammonia disinfectant), pharmaceuticals, herbicides, and pesticides. Once the process is complete, the re-mineralizer puts healthy minerals such as calcium back into your water to improve the taste. This system can be added at “point of use”, meaning at whatever sink you wish to filter the water for drinking or cooking needs. Ion exchange is the exchange of ions of the same charge between an insoluble solid and a solution. In water filter terms, that means we use a potassium ion to bond to and grab heavy metal contaminants such as lead from your drinking water. Our new OptimH20 whole house water filter uses both ion-exchange and sub-micron filtration to filter water from the point it enters your home, protecting your family at the sink, in the shower, at the dishwasher and more. The first-of-its-kind system is IAMPO-certified to reduce more than 99% of lead and cysts, 98% of PFOA/PFAS, and tackle chlorine, chloramines and more. At Aquasana, we believe that access to high-quality, independently certified water is something everyone should aspire to have. Be your own best advocate and invest in a water filter up to the task of delivering clean, healthy water every time you turn on the tap.